How Much Does a Lean To Conservatory Cost? How Much Does a Lean To Conservatory Cost? 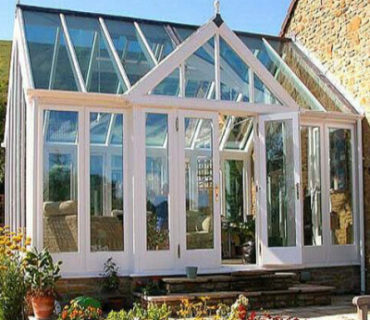 A Lean To Conservatory is probably the most popular style of room in England & Wales, probably due to the flexibility of the design in terms of its simplicity and ability to fit almost anywhere. They are most often seen in rectangular floor plans with flat plane sides and a single angled sloping roof section. To lower costs and to save weight loading, poly-carbonate panels can be used in the roof sections and is now available in tinted shades such as Opal & Bronze. In general you will find two designs. The first will be “all glazed”, the second features panels or brickwork, such as “dwarf-walls” Using any type of solid brick or block-work, however, will raise the overall construction cost of the room. The most basic of DIY lean-to conservatories can cost as little as a few hundred pounds, but there are also some spectacular examples of this style of conservatories around and the final look is only going to be limited by your imagination (or budget!) 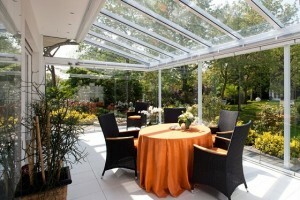 – how about new kitchen conservatory? One modification on the roofing design which many property owners seem to find to their liking is to extend the front edge roofing section to create an overhang. This overhang protects the immediate outside of the entrance doors & this version is commonly known as a veranda conservatory. The ‘veranda’ creates an area which is partially protected from the elements, such as wind or rain and can create a very nice seating area to enjoy with the family. 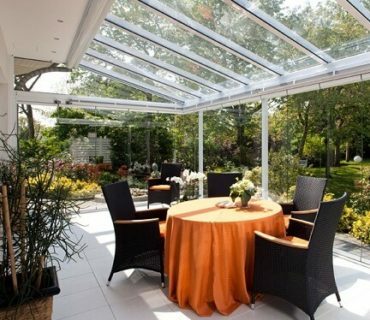 Increasing or reducing the price of your Lean-to Conservatory. Other than the biggest pricing factor, which is the size of the room you want to build, if you look at a Lean to conservatory project from the base to the roof there are elements that will be more costly than others to include. 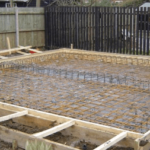 You need solid foundations for your room so that it remains stable but there are a few options. Traditional footings are labour intensive & if you have bad ground it may mean that you have to dig deeper than usual. Concrete “raft” bases can be used where suitable. This is basically a slab of pre-mixed concrete several inches thick poured into shape that has a steel reinforced mesh within. Steel bases are becoming popular and are usually pre-made as part of the conservatory design. The steel frame sits on top of plinths and the room is then fitted straight onto the frame. When getting quotes for a new conservatory, you should confirm whether the cost of a base or foundations is included in the price. 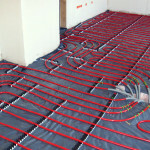 Drains & utilities – check for these to ensure access if they are to be below your conservatory. You may have to move them. The type of material used is a big factor in pricing. 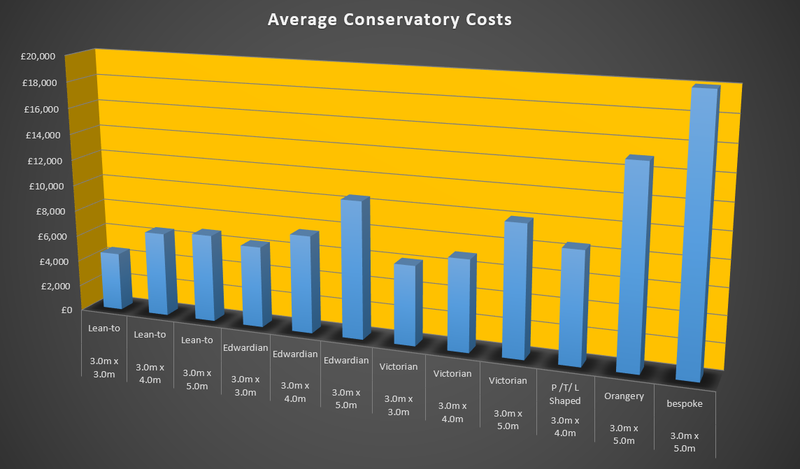 Hardwood conservatories can cost more per square foot than those made from either aluminium or uPVC. The thickness of the frame profiles and design elements can be very different. In some instances uPVC can be half the cost of a hardwood like Oak. Engineered wood is a good alternative if you are not a fan of uPVC or aluminium. For example a very cheap aluminium frame may not have built-in thermal breaks to stop heat/cold transfer and this will lead condensation problems inside the room eventually. Some profiles have more “chambers” than others and more energy saving features. If you are going to include any type of dwarf walling, columns or pillar made from brick or block, you can expect to add to the final cost. Brickwork is much more expensive and labour intensive than fitting a full height glass wall. A single set of French Doors are popular for the lean to room, but sliding, tilt & turn or Bifold doors are alternatives. Bifolding doors can be expensive depending on the design & size. There are a number of choices for the type of glazing you can have fitted. 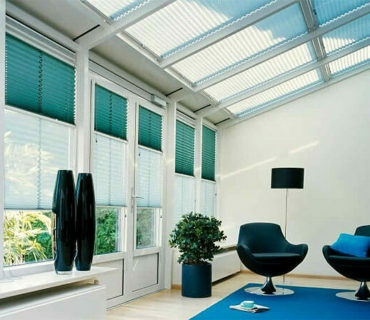 From single, double or triple glazed panels to Low-e glass or gas filled units. 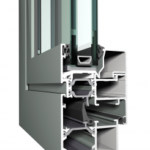 The space between double or triple glazed panes can be varied from 6mm to over 20mm. A 6mm gap double glazed unit will cost considerably less than an Argon gas filled, low-e, triple glazed 21mm gap pane. A “standard” lean to conservatory is likely to have a simple flat sloping roof. The least expensive type would be made from Poly-carbonate sheeting. 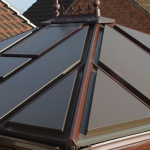 You could opt for part glazed and use infill panels or go for a fully tiled roof. The fully tiles roof would be the most expensive. Not only because of the labour and material used in the roof, but the structure of the conservatory frame supporting the roof would have to be high quality to support the weight above it. Luckily, most small to medium size lean to conservatories can be built without the need for prior planning permission as they are considered “permitted developments”. But that is not to say that you won’t need planning permission for your project. The examples given for supply only cost may not include the cost of the base which may be in the region of £1,000 for a small one. Don’t forget that VAT may not be included in some cases. The final cost of your conservatory will be different to those shown. Having your home surveyed by a professional will identify the design & price that suits your circumstance best.